March 2017 – The Blackfin collection for the coming spring/summer 2017 contains three new sunglass models, two for women and one for men, all with pure titanium frames. The perfect marriage of design and technology, these models demonstrate all the stylistic hallmarks of this inspirational brand, whose glamorous, evocative shapes have a strong personality. Model Gold Beach BF784 features the classic cat’s-eye shape. With its elongated front corners, this frame has a real 1950s look reinterpreted in a modern key with the use of the material, the ample base 2 lenses and the new hinge fitting that totally eliminates the folded lug. 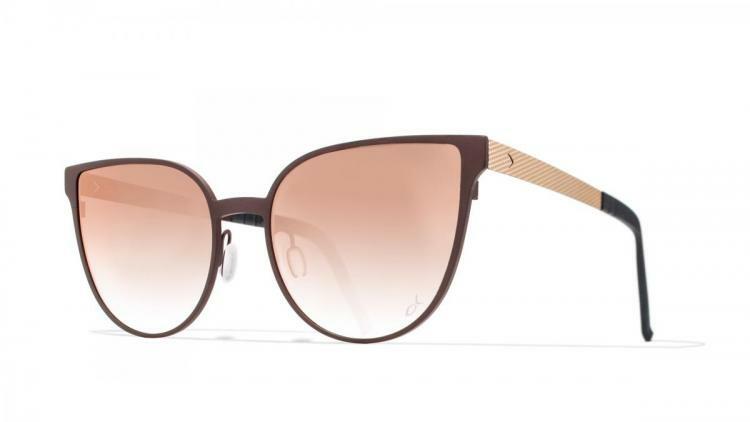 The model is available in three colours that play on the contrast between shiny and matte finishes: matte black/polished silver with mirrored graduated-tint grey lenses, matte dark grey/metallic pink with mirrored pink lenses, dark brown/pale gold with mirrored graduated-tint gold lenses. There is also a striking vintage look to model Martinique BF778, its large rounded shape brings to mind all those 60s divas. It also features a very up-to-date touch with the double-layered eyebrow line in two different colours reflecting the colouring of the temples. 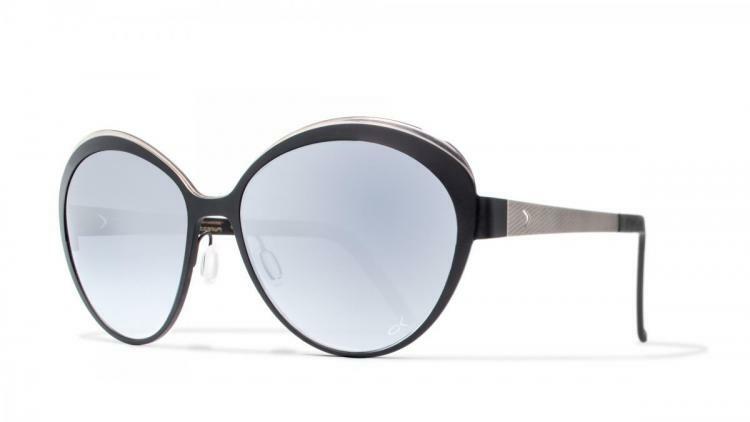 Once again there is a decidedly feminine choice of colours: matte dark grey/metallic pink with mirrored pink lenses, matte black/polished silver with mirrored graduated-tint grey lenses, matte blue/matte dove grey mirrored graduated-tint gold lenses. 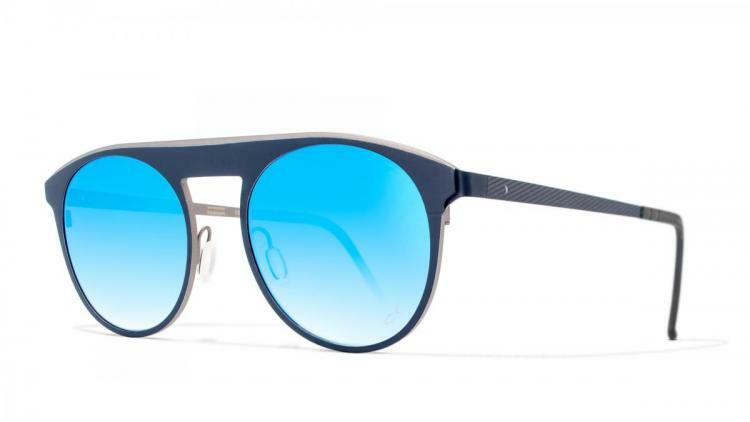 The model for men Oyster Bay BF779 with rounded base 2 lenses features a bold eyebrow line, its chunky look lightened by the outer edge in a contrasting colour running across the whole of the front: matte black/polished silver with mirrored graduated-tint grey lenses, matte midnight blue/grey with mirrored graduated-tint sky blue lenses, matte dark grey /matte yellow with mirrored graduated-tint gold lenses. Blackfin eyewear is entirely conceived, designed and produced in Italy by Blackfin. If the Made-in-Italy concept is a fixed point, neomadeinitaly is our strong point. Our heritage from the past and our respect for the beauty that surrounds us guide our code of ethics. All Blackfin eyewear is made of the purest titanium in the world using a production process that for us is a true ritual. Blackfin / Looking Beyond. Always.